Until the mid-1970s, Big Tales was never more than a thick typescript. 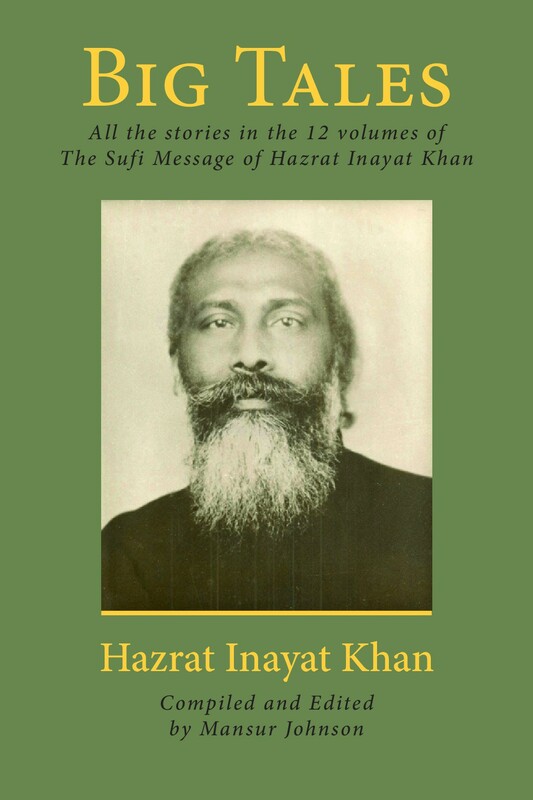 From that ream of stories, I produced a condensed, privately printed collection, which I divided into three parts: Tales, Part 1, People; Tales, Part 2, Teaching Tales; and Tales, Part 3, Personal Experiences of Hazrat Inayat Khan. From that collection, the abridged 1980 and 2005 (Omega Press, New Lebanon, New York) editions of Tales/Told by Hazrat Inayat Khan were produced. The following template appears at the bottom of each story in this book: Big Tales, page 10. 1, 99, The Inner Life. This signifies that the story is early (page 10) in Big Tales, as well as early in The Sufi Message of Hazrat Inayat Khan; actually, in volume 1 on page 99, and from the book in volume 1 entitled: The Inner Life. The first three parts of this book are the original collection which never saw the light of day in this form, and what's also new here in Part 4 are the unabridged, never before published, rest of the stories from Big Tales.